Nancy Cato, renowned Australian writer, authored about twenty diverse books, including two poetry volumes, children books and biographies. She was a journalist and a literary critic who was published in many Australian journals. Most of all, she is recognized as a historic writer, a subject in which she has written about ten books, where she was able to depict Australia’s past ambiance. Nancy Cato was born in Adelaide in 1917, where she attended Presbyterian Ladies College, graduating in 1939. She then studied at the South Australian School of Arts. In 1941 she married a well-known racing car driver named Eldred Norman, with whom she travelled around the world. She was the mother of two sons and a daughter, member of the Australian Society of Authors and the South Australian Branch of the Fellowship of Australian Writers. She received a number of prestigious honours, like a doctor Honoris Causa from the University of Queensland and an Order of Australia. Later in her life she settled in Queensland, where she actively worked for environmental protection. She passed away in Noosa in 2000. 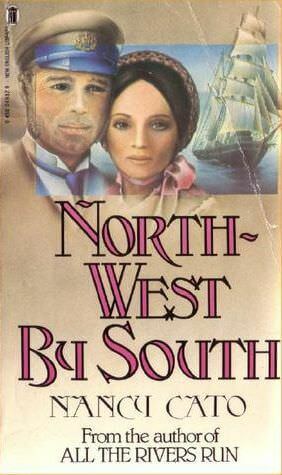 Some of the best known novels by Nancy Cato are: All the Rivers Run, Brown Sugar, Mister Maloga, Queen Trucanini and North-West by South. The latter is extremely interesting for us, because one of the main characters is Sir Paul Edmund de Strzelecki. The author convincingly replays the last years of Sir John Franklin, humanitarian governor of Tasmania from 1837-1843, who was an explorer of Arctic, and who tragically perished in the icy spaces of Northern Pole. The book also follows the story of his beautiful and intelligent wife, Lady Jane Franklin and people associated with them. From 24th July 1840 till 24th September 1842, during the time when Franklin governed Tasmania, Strzelecki was exploring the island. „Count Paul Edward (this is an error of the author because the second name of the Polish explorer is in fact Edmund - W.L.) de Strzelecki, « a Polish nobleman of high Family », as she wrote enthusiastically to Mary (Maconachie, friend - W.L. ), was a frequent visitor at Government House where she was guest of honour. He had made himself entirely charming, kissing her hand with courteous grace, always respectful yet subtly conveying that he would, in other circumstances, have wished to kiss more than her hand. His accent was fascinating, his manners were impeccable, and his face had that rugged strength, that air of decision of the outdoor man of action, which had always attracted her more than mere drawing-room good looks. He was already persona grata among the older colonial families, the new aristocracy of the settlement, the McArthur's and the Kings. He had promised to visit Van Diemen's Land before long, and she had assured him of Sir John's welcome”. „Papa had a new friend too, in Count Paul de Strzelecki, a name she could never spell in her diary. He had arrived straight from the bush, in walking - jacket with buttoned - flap pockets and strong corduroy trousers, a knapsack full of geological specimens on his back and wide - brimmed felt hat on his had. „Montagu (Colonial Secretary - W.L.) will be back by the time you return, - said Sir John. On pages 169 and 174 Nancy Cato writes that, when Strzelecki would return to Hobart from his scientific expeditions, he was always welcome in the governor’s residence. However, Strzelecki’s main quarters were in Launceston, where he could concentrate better on his research. „ We will have art treasures as well, copies of Greek sculptures, portraits of explorers like Ross and Strzelecki - oh, it is wonderful idea! I believe you'll do it, too.' said Sir John admiringly. 'You're a remarkable determined woman when your mind is set on anything, my love. And it shall called the Sir John Franklin Museum in your honour. What ever happens to us, it will remain as your memorial. „ Count Strzelecki, who had been staying at the Government cottage at Launceston, came down to Hobart for a few weeks. He listened with sympathy to Jane's woes over the Ladies' Committee and Sir John's troubles with his Colonial Secretary. Jane brought out all the designs she had so far collected for her museum, including her own sketch of the Grecian front elevation, and the design by Captain Swanston, creator of the Model Prison at Port Arthur"
„The Count approved her drawing but dismissed Swanston's plan. « Zis is too large, too expensif», he opined. „ Afterwards, as he was demonstrating his coal-testing instruments for analyzing the gas content of piece of Tasmanian coal, setting them out on the library table, Jane noticed with some surprise that Sophy (Sir John’s niece, who lived with Franklin - W.L.) was full of interest. Not only that, but the Count was quite aware of this interest, and laughingly held her hand to steady it while she tried to operate the equipment for herself. Really, Sophy had been very odd lately, ever since the South Polar expedition left; one day pale and moping, and the next full of a febrile gaiety. Count Strzelecki (unattached, though he had hinted that his affections were bound up with a sweetheart of his youth who still waited for him in Poland) had noted the change in her eyes, her arch laughter, and probably thought it only good manners to respond. One could not blame the poor man for flirting a little; he led a Spartan life much of the time, camping in the field or working at his Physical Description, which looked like becoming a big book. He could hardly be persuaded to attend any Hobarton festivities. Why then this strange pang as she looked at him and Sophy, a little flushed and merry, bending over the blue flame? When she met him in Sydney, she remembered, he had talked to her almost exclusively; but she was older than he by almost five years, and Sophy was young. Examining her heart critically, Jane saw what it was that disturbed her. It was the realization of a woman past fifty, who once used to charm men almost unconsciously, that she is growing old. That heart was still entirely his even if he did not want it. Young as she was, she felt, she knew such intensity of feeling would not come again in a lifetime. Anything else must be a shadow. Sir John wrote to his friend Strzelecki in Launceston about the coming trip, and how sorry he was that Ronald Gunn, who had broken his leg badly months before, was unable to come and botanize. „ At least leave them alone to follow their own customs, and let their last remaining years be happy,” - he said. In this soliloquy Nancy Cato also underlines the accent spoken by Strzelecki.